What a year for Scotland and Scotland’s Capital City. As we continue to punch above our weight in an increasingly competitive and complex global market, we need to step back from any internal city competition and all join forces to create a truly world famous Capital City. Our Country, our Capital City. Our Capital is home to our government whose new powers provide new opportunities. 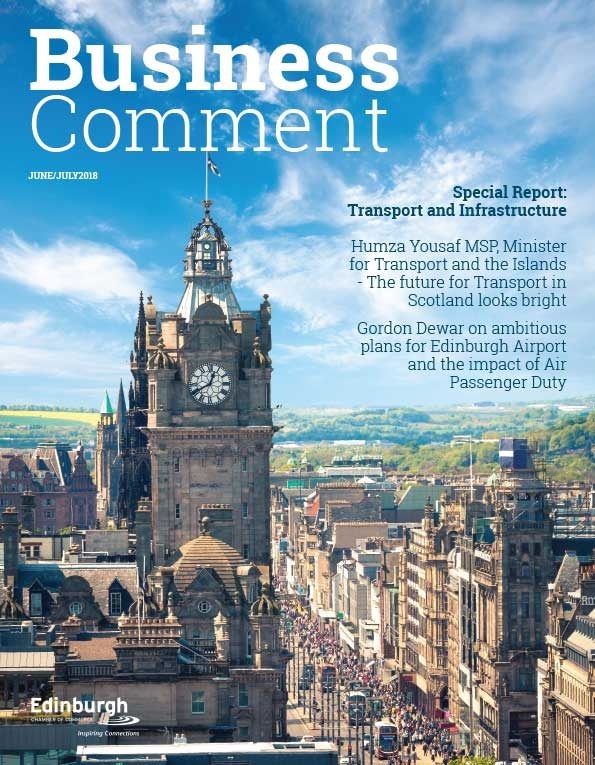 Our transport and digital connectivity both within Scotland and internationally, go from strength to strength, blurring the edges of traditional geographical boundaries. We also continue to develop stronger relationships with many international governments, complementing UK and European government activities which has resulted in the number of Consular offices growing in our Capital City. Edinburgh provides a natural gateway to nurture and grow our international partnerships which complements developments right across Scotland. Not only does this help facilitate inward investment, the growing Consular base continues to support the strong growth in international education and extend the global reach of our arts and culture. It is no coincidence that we continue to experience the growth in status of Capital Cities across the world, particularly in the emerging economies, as this is a key benchmark in the status and profile of any country. We have, across Scotland, enjoyed one of our highest global profiles as a country this year which we must try to harness as much as possible in 2015. 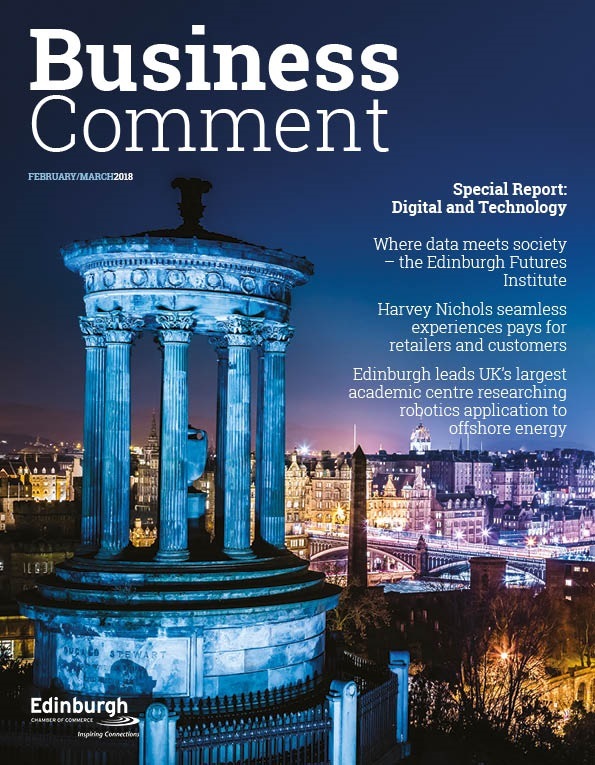 This includes taking joint ownership in the future to market our Capital City and aligning scarce government resources to promote Edinburgh more effectively in a highly fragmented media market place. Our tourism sector has demonstrated how it can manage a unique event in one location and ensure economic benefit is distributed more widely across the country. The same effect can be delivered with a step change in marketing our Capital City, with greater alignment and coordination across several government agencies already making a difference. 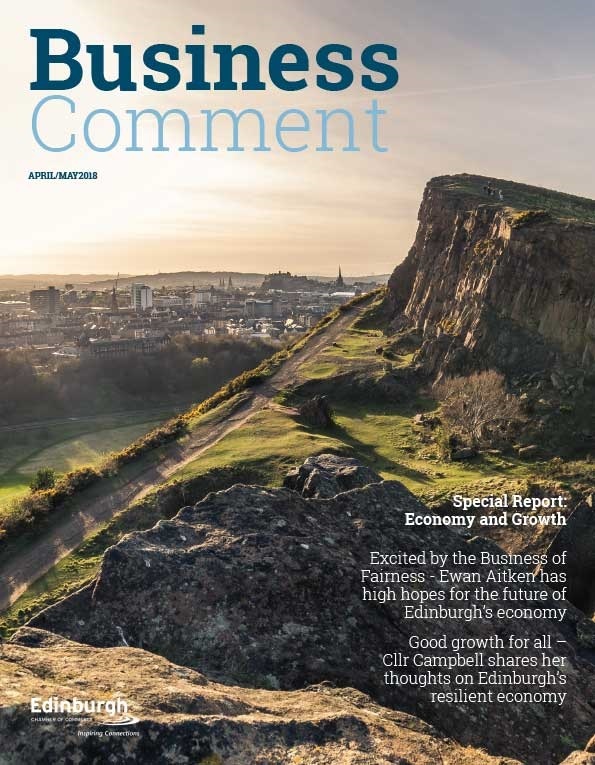 Within Edinburgh Chamber of Commerce, the New Year will see the launch of the Capital City Ambassador program, providing the business community across Scotland with an opportunity to engage and support their Capital. This will include working closely with government at all levels, agreeing formal partnerships with several foreign governments already based in the Capital City and working closely with many other institutions who have the same strategic intent. As global TV audiences welcome in 2015 across the world, following Capital City time zones, they will eventually reach Hogmanay celebrations in Edinburgh. Of course it says goodbye to a very famous year in Scotland’s recent history but it also reminds everyone across the world that Scotland is not only here to stay and grow, but also knows how to party!